Melissa Heholt is popular because of the relationship she shares with one of the most talented rappers that have graced the world with his presence; this rapper is none other than Jermaine Cole, popularly known as J-Cole. She has been the subject of many of his songs and the couple has been together for a very long time, this is the life of Melissa Heholt. Melissa Heholt was born on the 10th of October in 1987. It is believed that for high school, Melissa attended the private school, Archbishop Molloy High School, but because she has found a way to maintain some privacy in her life, this information is not verified. It is however certain that she attended St. John’s University in New York and this is where she met her husband Jermaine Cole. While she was at St. John’s her first choice of study was Education but got dissuaded with the low income that a career in education was bound to come with and decided to go for a course in Business. She did change her mind on studying that course but instead of education, she chose to study Health Administration. After her time at the university, she tried to get certain jobs but found them to be not as fulfilling as she wanted until she stumbled upon event planning. This was a thing she dabbled in as a hobby but by the time she made some money from doing it, she was hooked. No better way to earn money than doing something you love and this is what she still does till date. In 2014, she created her own event planning company called Statice Events and since that time she has helped family and friends create and plan events to suit their taste and desires. In the process of planning a client’s event, it has been said of Melissa Heholt that she operates a very inclusive business, in the sense that the client is carried along throughout the entire process and does not feel left out of the planning process. Melissa Heholt is the first child of her parents. There is not a lot of information that is available on the type of childhood she had or her family. It is however known that she spent most of her childhood in New Jersey and has three younger siblings. Jermaine Lamar Cole is a very private man who has found a way to keep very personal details of his life from the public and his fans. But in his music, some of these details leak into his lyrics. It was from his songs that his fans knew of his love life and the struggles he faces being faithful despite the many temptations available to a person in the entertainment industry. 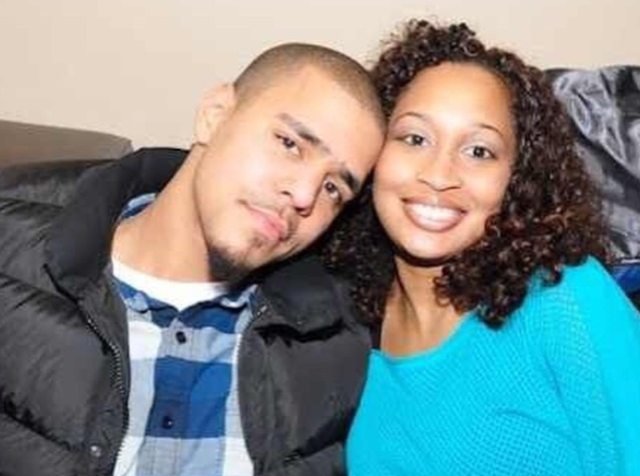 J-Cole and Melissa met while they were at St. John’s University, where he majored in communication and business. They had dated for almost a decade before getting married. It is not certain when exactly they got married as it was a very private ceremony. Information about them getting married was only available to the public in 2016, when during an interview with the highly acclaimed director of the Black Panther movie, Ryan Coogler, he revealed that he was already married. The revelation was a blunder on Coogler’s part and J-Cole reacted to it rather coolly. They have a child together, a son. For the longest time, fans of the rapper believed his child was a girl until he revealed in an interview that his child is actually a boy. She is the executive director of the Dreamville Foundation, which was established by her husband in 2011. The foundation is focused on helping youths unlock their true potential. Melissa Heholt managed to find her way back to studying education, this she did by earning a Master’s in Education. She has worked as a teacher but upon experiencing the little pay that comes with the job she decided to go for a job that would pay more. This woman also happens to be a lover of good food and attempts to try new cuisine as often as possible. Heholt recently revealed that she has a new interest and it is in floral designs, and this is the reason she is apprenticing with Makini Regal Designs.